The following article is a repost of IPPR Economist Grace Blakeley‘s Medium post here. Listen below to Grace speaking on Carillion’s collapse and PFI along with economist Ann Pettifor and James Butler of Novara Media. In many ways, the Carillion scandal encapsulates everything that is wrong with our economy. It captures the short-termism and greed that underlie the ideology of shareholder value, the concentration of market power within a small cadre of financialised firms, and the symbiosis between these firms and the neoliberal state. Just like Carillion, our economy has been turned into a giant, state-backed, debt-driven Ponzi scheme that enriches investors whilst exploiting ordinary people. But the particularities of the Carillion case are even more revealing than this story suggests. In fact, the saga of the company’s slow decline and abrupt liquidation reveal a great deal about the nature of accumulation under modern capitalism. These extensive payouts belied the parlous state of Carillion’s underlying financials. Over the last 10 years Carillion’s profits have continuously declined whilst its debt levels have skyrocketed. A firm should only ever take on debt for the purposes of investment; debt financing comes with interest, which has to be paid off regardless of the firm’s performance — so unless the capital is used to improve the firm’s productivity it will end up as an unpayable debt overhang. Some might argue that this can all be chalked up to financial mismanagement on the part of a couple of greedy executives. After all, a huge business like Carillion must have been producing something of value before its unceremonious decline. All we need to do is nationalise the business, so that that this value accrues to the public sector rather than private shareholders. In fact, the opposite is true. 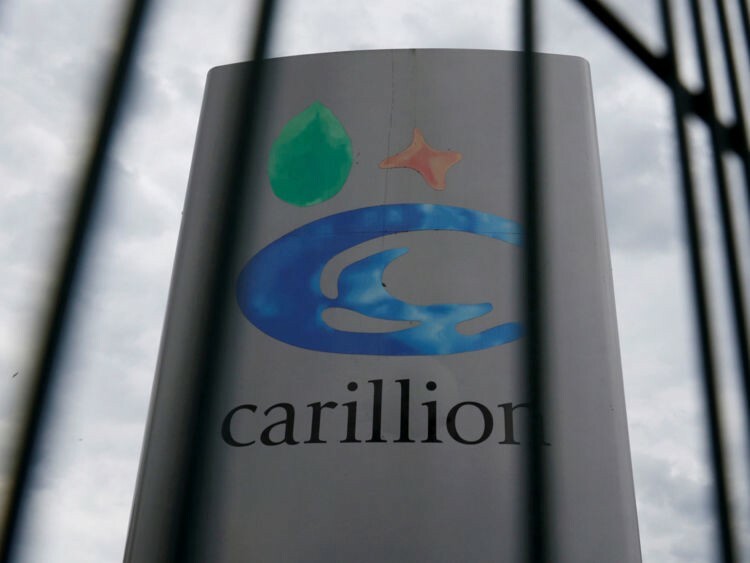 Carillion’s business model rests solely on arbitrage — ‘the simultaneous purchase and sale of an asset to profit from a difference in the price’. We cannot nationalise Carillion because there is nothing inCarillion to nationalise. It doesn’t do anything. It is a fiction of a firm whose existence is predicated upon the largesse of a corrupt and financialised neoliberal state. Thirdly, both of these things will require investment in public sector procurement capacity. Currently, the Government commissions consultancy firms to write contracts on its behalf, and these consultancies are then hired by outsourcing firms to assist them in winning these very contracts. Instead, the Government should invest in its own procurement systems, upskilling staff and providing them with the right resources to subvert the corrupt and arcane processes that currently dominate bidding for public contracts. The liquidation of Carillion has struck such a nerve because it perfectly encapsulates the logic of production under neoliberalism. A giant, overleveraged firm collapsing under the weight of its own debt even as it doles out millions to shareholders and executive directors. A government outsourcing its own contracts to the ‘free market’, only for that market to become dominated by an oligopoly of firms with expertise extracting as much value from the taxpayer possible. A commentariat calling on the Government to bail this company out, even as they excoriate the indolent, workless, benefit-cheating public, who they also think should foot the bill. In the wake of its collapse, the contradictions at the heart of neoliberalism are acutely visible. But the Carillion scandal will only be in the headlines for a few days. 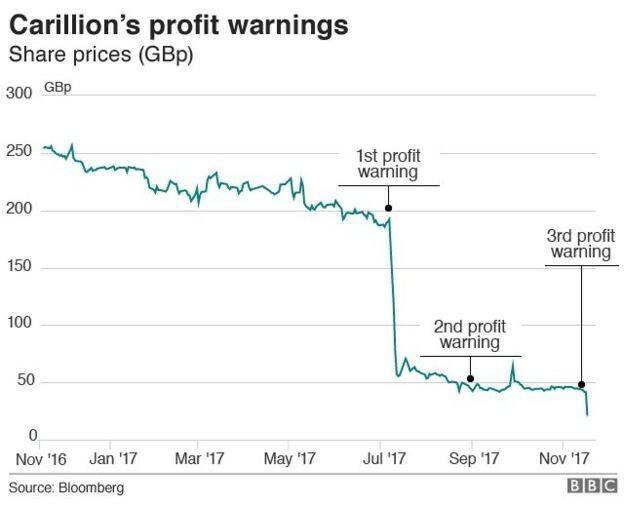 Meanwhile, as its assets are sold off to pay back its investors, the economic model that created Carillion will continue to tick along. The Government won’t do it, the mainstream media won’t do it, and the private sector certainly won’t do it — it’s up to the left to learn the right lessons from this saga, and make sure it doesn’t happen again.